The sculptured Geospire by artist Tom Brewitz of Boynton Beach, Florida at Mt. St. Mary Park in St. Charles. 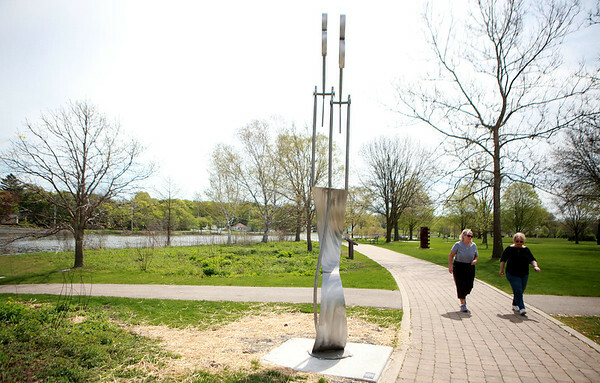 The 12th Annual Sculpture in the Park Exhibit features 12 sculptures by 10 artists from all over the country.